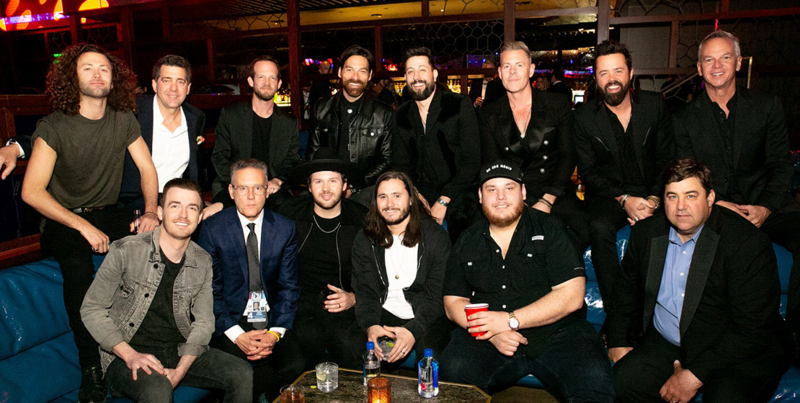 Sony Music Nashville celebrated multiple wins and momentous performances at the 54th Annual ACM Awards at Hakkasan Las Vegas. Following the release of their collaborations project Reboot, Brooks & Dunn left their mark on the ceremony performing “Brand New Man” with New Male Artist of the Year winner and Male Artist of the Year nomineeLuke Combs, as well as presenting the Award for Entertainer of the Year. Single of the Year nominee Kane Brown performed his Top 10 hit “Good As You” and welcomed Khalid for the television debut of their collaboration “Saturday Nights REMIX.” Combs also performed an acoustic arrangement of his six-week No. 1 smash “Beautiful Crazy” with co-writer Rob Williford and award-winning fiddle player Amanda Shires. New Duo/Group of the Year winner LANCO debuted their brand new single “Rival,” while Female Artist of the Year nominee Maren Morris rocked the crowd with “All My Favorite People” featuring Brothers Osborne from her record-breaking album GIRL. Old Dominion performed their Top 5 single “Make It Sweet” and took home the trophy for Group of the Year for the second consecutive year. New Male Artist of the Year nomineeMitchell Tenpenny also attended the ceremony.